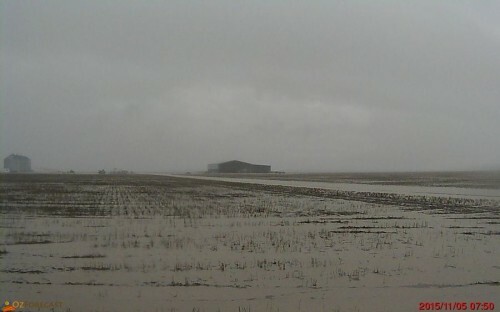 With up to 100mm rain recorded on the farms during first week of November, the opportunity arose to plant a summer crop. First time growers, we have been thinking about dryland cotton for years, having almost planted it in 11/12. Back then, we were busy harvesting wheat, the moisture was’t quite right and we didn’t have a planter lined up, so we didn’t push it. Not so this time. We were still busy harvesting, but the chickpeas had a touch of green so planting cotton became a priority. The moisture was great, timing was right, and we had a planter at the ready. Boss Agriculture had recently built for us a 12 metre 3pl frame and double disc openers with many options including easily swapping row configurations from double skip to 3 metre super single row spacing. 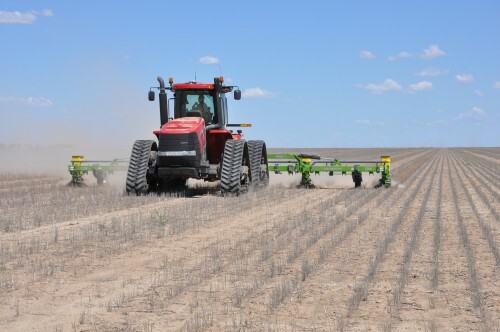 Running the planter around the clock for ten days, we covered a fair chunk of country while conditions were sweet. 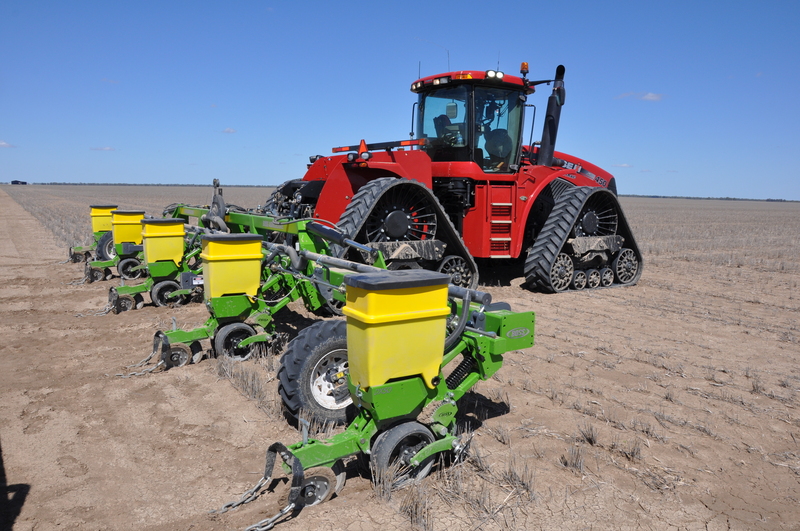 The pictures below show the machine planting 5 rows running 15 metre swaths. Dryland cotton is an exciting new crop for us in our farm system. We hope to learn alot over the next few months watching this crop grow. Follow the crops progress by checking here for updates or subscribe below. Wish you and Pete all the best – hope it is a wet summer!